Fellows share in the prestige and opportunities that become available when they are selected. Fellows benefit from a three-year annual stipend of $34,000 along with a $12,000 cost of education allowance for tuition and fees, opportunities for international research and professional development, and the freedom to conduct their own research at any accredited U.S. institution of graduate education they choose. More Details on this prestigious award available on the NSF website here, NSF GRFP site. Honor from the world’s largest general scientific society, recognizes extraordinary achievements in advancing science. The American Association for the Advancement of Science has bestowed upon Professor Jian Cao the lifetime honor of being an elected Fellow in recognition of her extraordinary achievements in advancing science. She is recognized for her fundamental contributions to the understanding of failure mechanisms in forming processes and for innovations to advance flexible manufacturing processes. This year’s AAAS Fellows, who represent a broad swath of scientific disciplines, were selected for diverse accomplishments that include pioneering research, leadership within their field, teaching and mentoring, fostering collaborations and advancing public understanding of science. Her honor will be recognized at the 2019 AAAS Annual Meeting in Washington, D.C. Professor Jian Cao, Director of the Northwestern Initiative for Manufacturing Science and Innovation (NIMSI), welcomed the attendees and spoke of the importance of manufacturing. 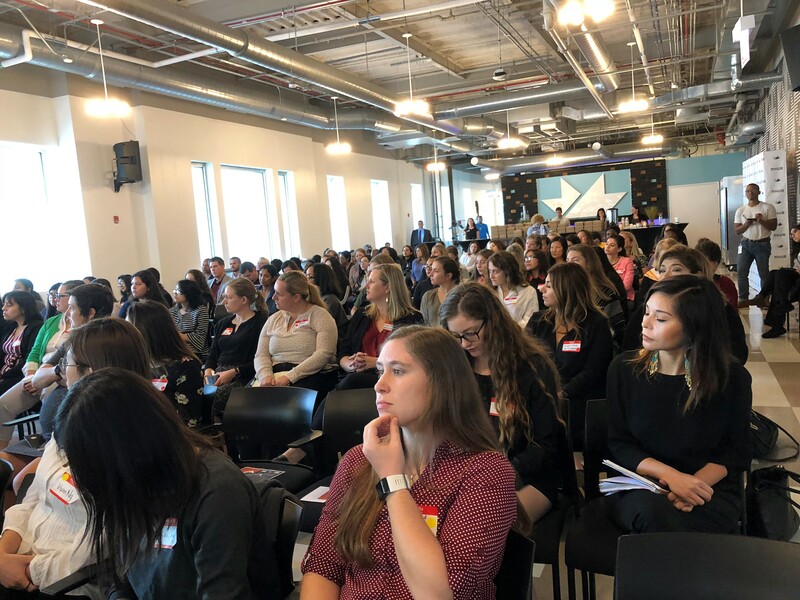 mHUB hosted the first Women in Manufacturing Day to celebrate and convene women in manufacturing, and inspire young women interested in STEM fields to discover new career paths and grow the talent pipeline of women in the industry. The event included a keynote presentation from Dr. Megan Brewster, Vice President of Advanced Manufacturing at Launch Forth, and former White House Senior Policy Advisor for Advanced Manufacturing. 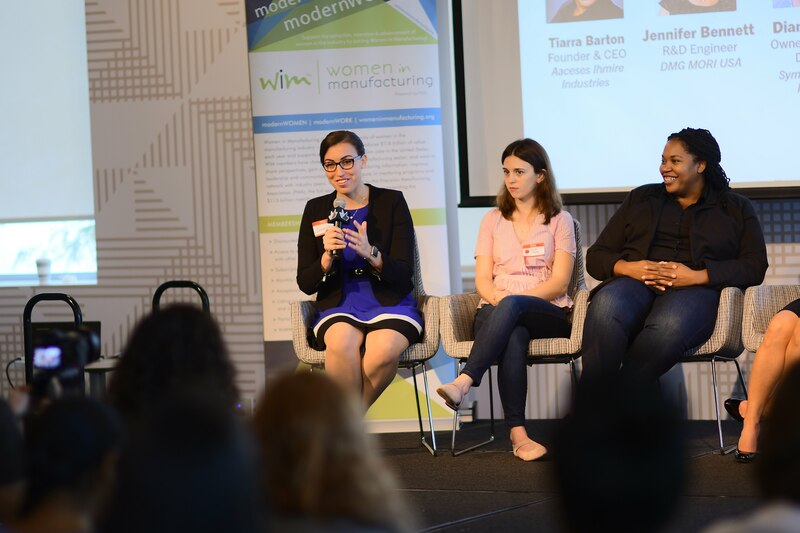 Additionally, participants were offered an in-depth Panel discussion analyzing how to inspire the next generation of women manufacturing leaders, with women manufacturing experts, Diana Peters of Symbol Training Institute and the Women in Manufacturing Chicago Chapter, Cecilie Tassone of Praxicut, Tiarra Barton of Aaceses Ihmire Industries, Jennifer Bennett of DMG Mori and Northwestern, and Lily Yeung of Molex Ventures. 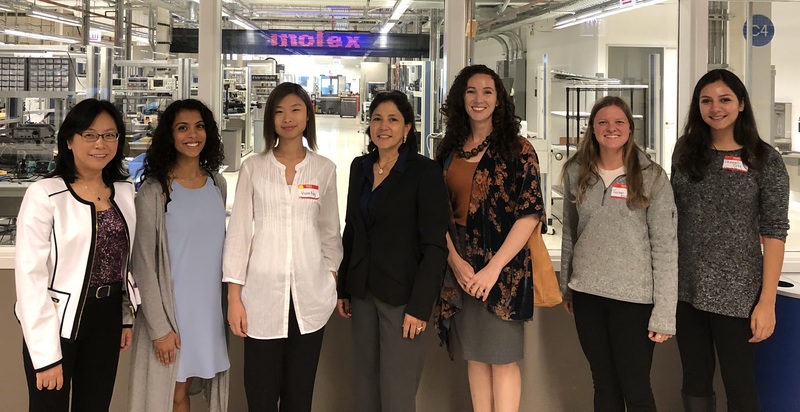 Attendees included women at all stages in their manufacturing career, from high school students, to undergraduates and graduates, and to industry veterans. Demonstrating the diverse careers of those in attendance, SparkShop co-directors and former industry engineers, Tiernan & Shonali, graduates from Northwestern, began their manufacturing careers as engineers and have since founded the SparkShop non-profit, a project of the Science & Entrepreneurship Exchange (SEE), which has taught STEM curriculum to over 1000 kids in the Chicago-area since 2013. SparkShop co-directors Shonali and Tiernan shown (far right) with event presenters. This event was proudly presented by mHUB, Chicago’s first innovation center focused on physical product development and manufacturing, in collaboration with Northwestern’s NIMSI and with support from the National Science Foundation. More than 100 women attended the event with nearly 50% from under-represented groups. The summer season would not be complete without the graduation news. In the past 4 months, three new Doctors joined as the alumni of AMPL. Their theses' titles are: "Rapid Analysis and Planning Tools for Flexible Manufacturing Processes in a Cyber-Physical Setting" by Ebot, "Hybrid Incremental Sheet Forming Methods for Enhanced Process Performance and Material Properties" by Zoe, and "Modeling and Control of the Double-Sided Incremental Forming Process" by Huaqing. Their next positions are playing to their strengths, Ebot at Autodesk, Zoe at McKinsey & Company; and Huaqing at Apple! Congratulations! These 3 AMPL students are among a total of four Mechanical Engineering Ph.D. students who won the Terminal Year Fellowship from McCormick School of Engineering. Congratulations! The paper is titled "“Pressure and Draw-in Maps for Stamping Process Monitoring” published in 2016. This is the second time that Prof. Cao received this award and the first time for Dr. Numpon Mahayotsanun. In the 63-year history of this award, only one researcher received this award three times and two other researchers received it twice. Dr. Mahayotsanun, a past AMPL member, is currently a faculty at Department of Mechanical Engineering of Khon Kaen University, Thailand. He is the co-founder of Creative Lab Center (CLC) that develops high quality local products and transfer creative design and development knowledge to the local communities. He was elected to be a member of Global Young Academy (GYA) in 2014. This NIST award provides a significant opportunity for advanced training to a highly select group of scientists and engineers who give special promise of becoming creative leaders in research. The NIST NRC Postdoctoral Program supports a nationwide competitive postdoctoral program administered in cooperation with the National Academies/National Research Council (NRC). The postdoctoral program brings research scientists and engineers of unusual promise and ability to perform advanced research related to the NIST mission, introduces the latest university research results and techniques to NIST scientific programs, strengthens mutual communication with university researchers, shares NIST unique research facilities with the U.S. scientific and engineering communities, and provides a valuable mechanism for the transfer of research results from NIST to the scientific and engineering communities. More Details on this prestigious award available on the NIST website here, NIST site. Manufacturing is an Integration Platform – and a Candy Store! 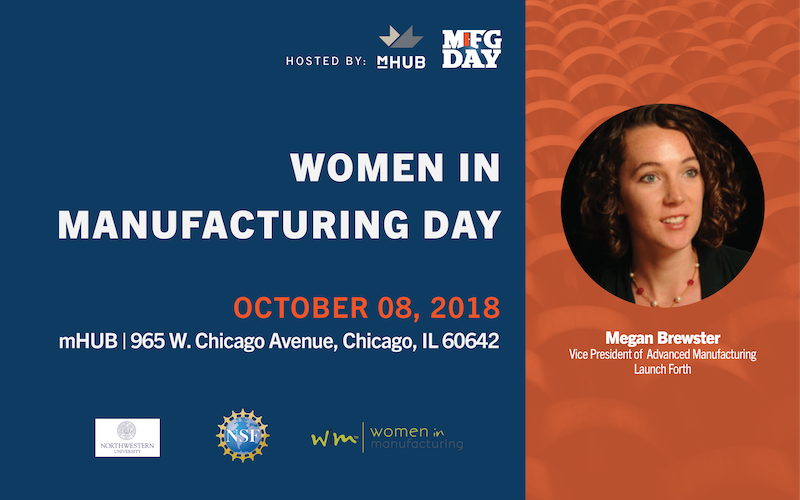 Please join Women And Manufacturing for a dynamic, high-energy, and often-humorous interview with Northwestern’s own Jian Cao, PhD and host Barbara Trautlein, Chief Catalyst at Change Catalysts. Dr. Cao busts myths about manufacturing, describing the field as an “integration platform” and likening it to a “candy store, because there is so much variety, you can surely find something you will enjoy.” This free-ranging conversation spans her journey from becoming an engineer to her role in mentoring young women and men from across the globe as a professor, replete with actionable advice for obtaining the feedback and support one needs to build self-confidence and an empowering network. 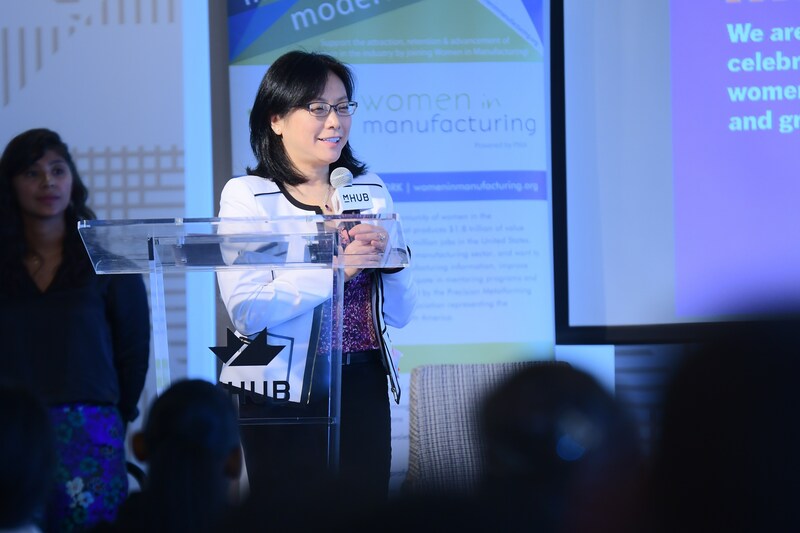 Moreover, she shares specific governmental grant resources women can obtain for funding manufacturing related-start- ups and lessons learned from her position as Board member of mHUB, Chicago’s first innovation center focused on physical product development and manufacturing. Sarah Wolff has been named a 2018 Enrico Fermi Fellow with Argonne National Laboratory's Energy Systems and X-ray Science Divisions. The Enrico Fermi Fellowship is highly competitive and is awarded to postdoctoral scientists and engineers "who are at early points in promising careers, display superb ability in scientific or engineering research, and show definite promise of becoming outstanding leaders in their fields". This fellowship awards two to four international candidates a year with a highly competitive salary and additional funds for research support. Fellows lead independent, collaborative and multidisciplinary projects that align with Argonne's goals, including breakthroughs in energy science. 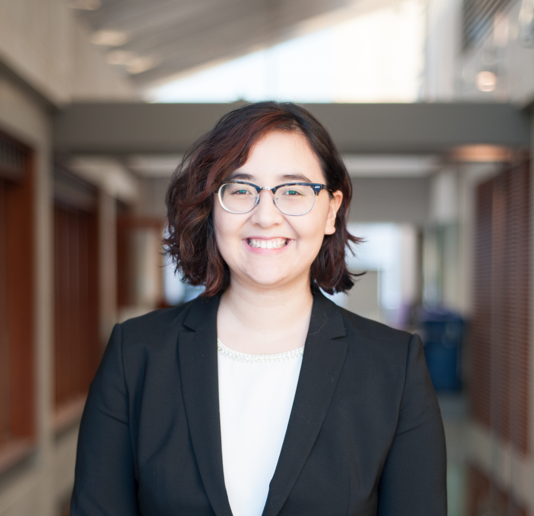 Sarah is completing her PhD from the Advanced Manufacturing Processes Laboratory under Professors Jian Cao and Kornel Ehmann and will continue her work on additive manufacturing process monitoring and materials characterization at Argonne. Prof. Cao is the Cardiss Collins Professor and Director of Northwestern Initiative for Manufacturing Science and Innovation at Northwestern University. Jian has brought her broad research expertise and administrative experience to JMPT. She has previously served as the Technical Editor of ASME Journal of Micro- and Nano-Manufacturing from 2012 until 2017. She is working with the current Editors, Prof. Allwood and Prof. Tekkaya, to ensure a smooth transition. Jian’s major research areas include innovative manufacturing processes and systems. Her research has integrated analytical and numerical simulation methods, control and sensors, design methodologies to advance manufacturing processes, particularly in the areas of microforming, flexible rapid forming, additive manufacturing, laser ablation and composites forming, which has direct impacts on energy-efficient manufacturing, surface engineering and rapid prototyping. She has published over 300 technical articles, including more than 150 journal articles, 10 book chapters, and more than 10 patents. Prof. Cao is a Fellow of CIRP, ASME and SME and her major awards include Charles Russ Richards Memorial Award from ASME and Pi Tau Sigma, SME Frederick W. Taylor Research Medal, and ASME Blackall Machine Tool and Gage Award. Jian will formally join the editorial team on January 1, 2018. Please join us in wishing her all the best in her new role! Biomanufacturing, defined as the design, fabrication, assembly and measurement of bio-elements into structures, devices, and systems, and their interfacing and integration into/with larger scale structures in vivo or in vitro, is an emergent domain integrating life science and engineering principles. CIRP, the World Academy for Production Engineering, plays a key role in this area promoting multidisciplinary research towards the development of medical and welfare devices and systems for improving quality of life and reducing global healthcare costs. The CIRP-Biomanufacturing conference was designed to be an international forum to discuss progress and future directions, and revise milestones as necessary, to facilitate exchange of information on biodesign, biofabrication and biomechatronics. Northwestern Engineering’s Jian Cao has received the 2017 Charles Russ Richards Memorial Award, a joint award from the American Society of Mechanical Engineers (ASME) and Pi Tau Sigma National Mechanical Engineering Honor Society. The award recognizes one individual each year for demonstrating outstanding achievement in mechanical engineering. She will officially accept the award in November at the ASME annual meeting and will become the first woman to receive the award since it was established in 1947. Cao is the Cardiss Collins Professor of Mechanical Engineering in Northwestern’s McCormick School of Engineering and an associate vice president for research at Northwestern. 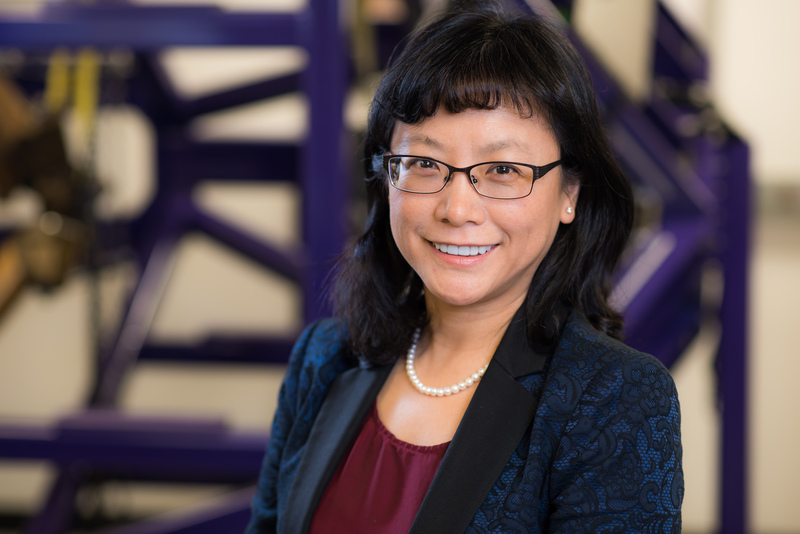 The founding director of the Northwestern Initiative on Manufacturing Science and Innovation, Cao is internationally recognized for her broad impact on the fundamental understanding of process mechanics, which has led to innovative manufacturing processes. 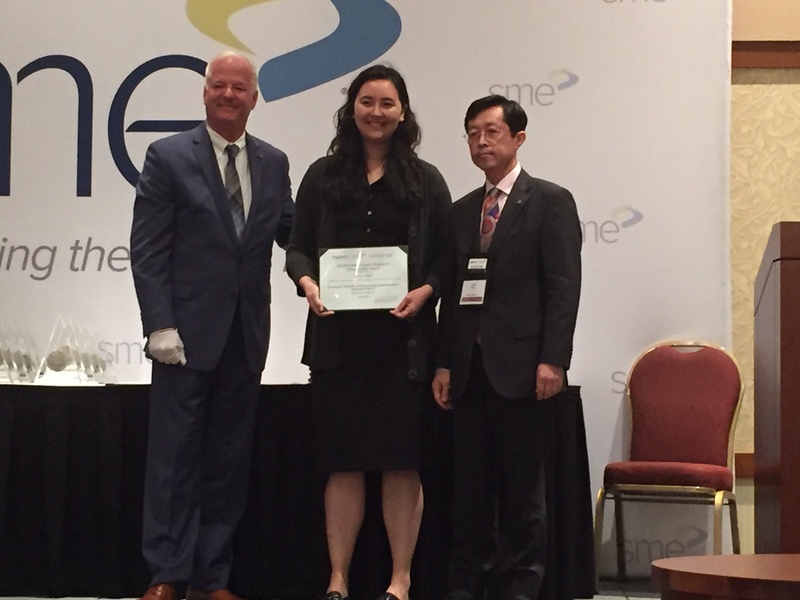 Last year, Cao was the first woman to receive the prestigious Frederick W. Taylor Research Medal from SME, previously known as the Society of Manufacturing Engineers. The highest honor given by SME to a researcher in the broad manufacturing field, the medal recognized Cao’s pioneering research on innovative manufacturing processes. An elected fellow of SME, the International Academy of Production Engineering (CIRP), and the American Society of Mechanical Engineers (ASME), Cao has received multiple awards, including the ASME Blackall Machine Tool and Gage Award, NSF CAREER Award, ASME Thomas J.R. Hughes Young Investigator Award, and SME’s Outstanding Young Manufacturing Engineer Award. She is also the founding technical editor of the Journal of Micro- and Nano-Manufacturing. Before joining Northwestern in 1995, Cao was a postdoctoral fellow at the Massachusetts Institute of Technology, where she also earned her master’s degree and PhD. She received her bachelor’s degree from Shanghai Jiao Tong University. 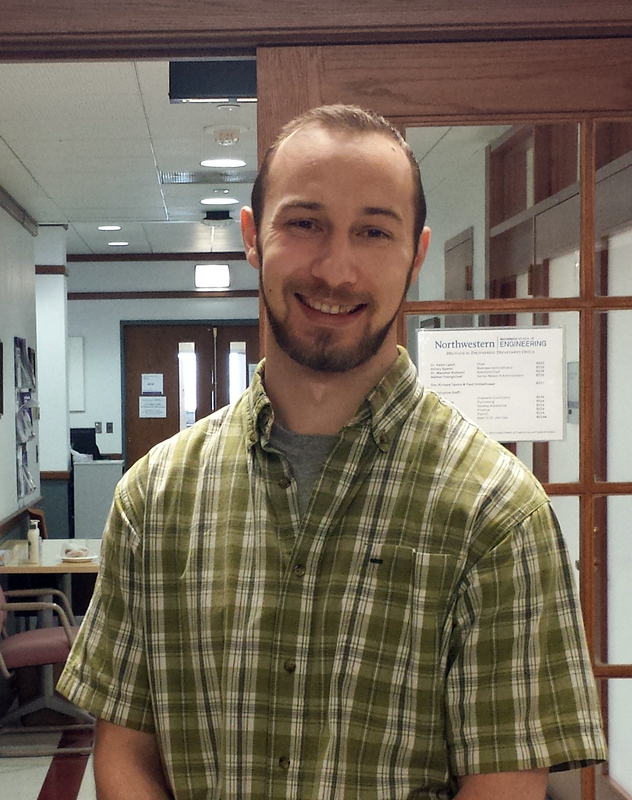 Newell Moser has been awarded a Royal E. Cabell Terminal Year Fellowship. This Fellowship is available on a competitive basis for students completing their PhD studies to enable them to focus entirely on their dissertation during their final year. Ebot Ndip-Agbor also received an Honorary Royal E. Cabell Terminal Year Fellowship. The Presidential Fellowship is funded by the President of the University and awarded by The Graduate School. This highly competitive award is the most prestigious fellowship awarded by Northwestern. All recipients become members of the Northwestern Society of Fellows (which includes former members and distinguished faculty members). 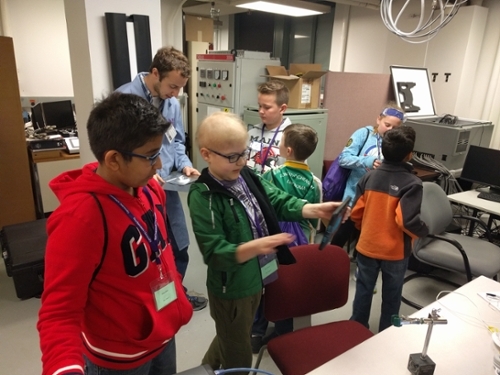 On April 27, 2017 Northwestern hosted its annual "Take Our Kids to Work Day." At AMPL we hosted lab tours for 30 kids who got a chance to learn about manufacturing and visit our facilities. They also got to see how high-speed cameras, thermal cameras, and microscopes are used in our lab. Valeo today revealed the winners of the Valeo Innovation Challenge, the Group's international open innovation contest for students from all disciplines. For this third annual competition, Valeo added a "New ways of using cars" category alongside the original "Technological innovation" category. Two €100,000 first prizes and three €10,000 second prizes were awarded this morning at a ceremony at the Maison de La Recherche in Paris. This year, the Challenge saw 1,344 teams from 795 business schools and universities in 65 different countries sign up for a chance to invent and develop innovative solutions for the automobile of 2030. The five winning teams were selected today by a jury chaired by Valeo Chairman and Chief Executive Officer Jacques Aschenbroich and made up of eminent figures from the world of science as well as members of the Valeo Group. The Northwestern team was awarded the second prize of €10,000 in the category of "New ways of using cars". Their project proposed a new way to use time in cars during semi and full autonomous driving in order to perform wellness activities. Physical exercise and health monitor functions are added with minimal modification to the vehicle structure to allow the drivers to actively improve their health and wellbeing. The team’s mission was to make the driver healthy and fit, and provide drivers a safer and more beneficial driving experience with their time in semi or full autonomous cars. Sarah Wolff, Ph.D. student of Profs. 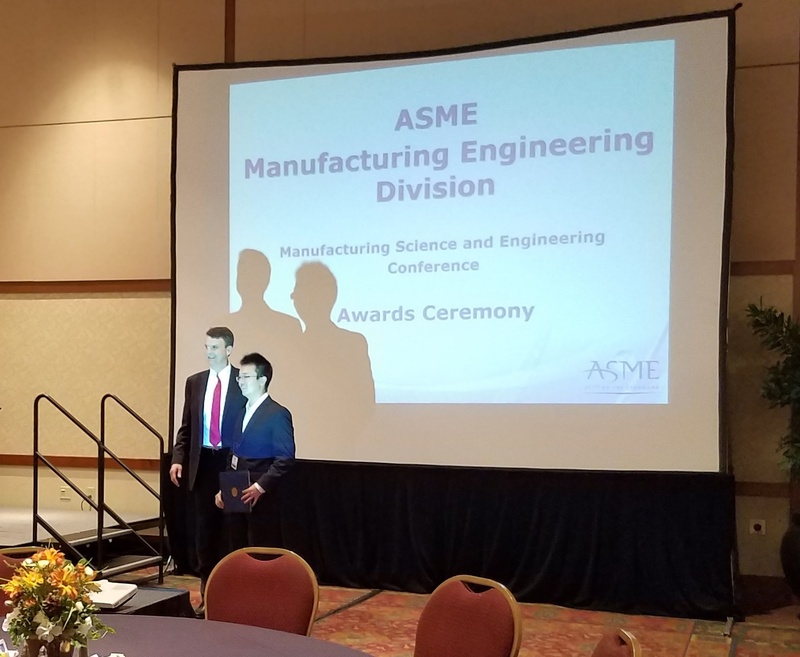 Cao and Ehmann, received a Best Presentation Award for her presentation of “Anisotropic Properties of Directed Energy Deposition (DED)-Processed Ti-6Al-4V” at the 44th SME North America Manufacturing Research Conference (NAMRC). (from left to right: SME Executive Director Jeff Krause, Sarah Wolff, and NAMRC Board of Directors Prof. Lihui Wang of KTH). Northwestern Engineering's Jian Cao has received the 2016 Frederick W. Taylor Research Medal from the SME, previously known as the Society of Manufacturing Engineers. The Taylor Medal is the highest honor given by SME to a researcher in the broad manufacturing field. Cao is the first woman to receive the prestigious research award since it was established in 1957. 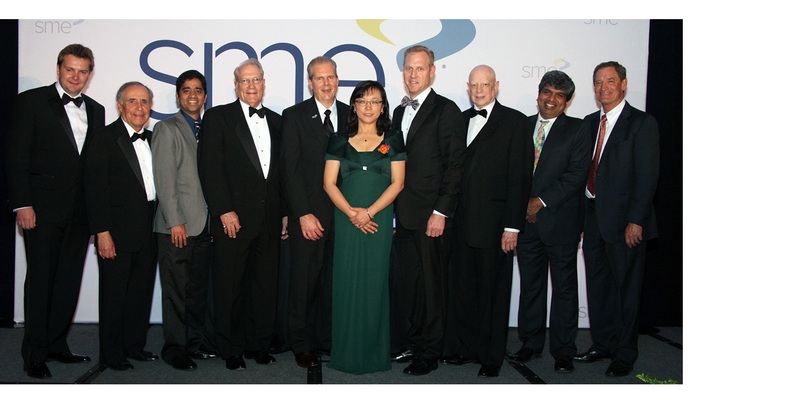 She received the medal on May 15 at the SME’s International Awards Gala. Jian Cao "I am so honored and grateful to SME for recognizing my research work," said Cao, professor of mechanical engineering and associate vice president for research. 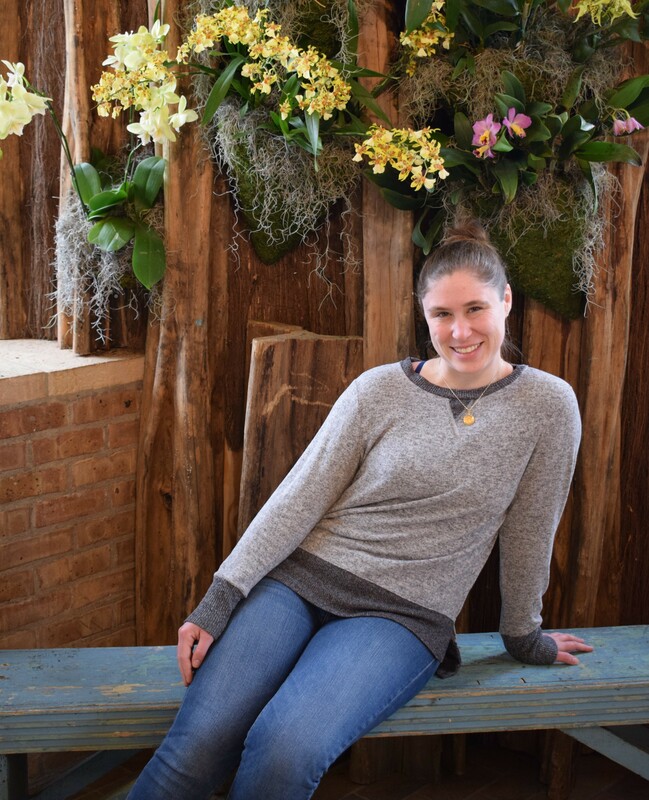 "None of this would be possible without the contributions from the talented, hardworking students and postdocs in my group and the support from my Northwestern colleagues." The Taylor Medal honors published research that leads to a better understanding of materials, facilities, principles, operations, and their application to improve manufacturing processes. Cao received the award for her pioneering research on innovative manufacturing processes with seminal contributions in integrating material characterization with sensing and control for forming and laser-assisted processing of sheet metals and woven composites. The founding director of the Northwestern Initiative on Manufacturing Science and Innovation, Cao is internationally recognized her broad impact on the fundamental understanding of process mechanics, which has led to innovative manufacturing processes. An elected fellow of SME, the International Academy of Production Engineering (CIRP), and the American Society of Mechanical Engineers (ASME), Cao has received multiple awards, including the ASME Blackall Machine and Gage Award, NSF CAREER Award, and SME’s Outstanding Young Manufacturing Engineer Award. She is also the founding technical editor of the Journal of Micro- and Nano-Manufacturing. Before joining Northwestern in 1995, Cao was a postdoctoral fellow at the Massachusetts Institute of Technology, where she also earned her master’s degree and PhD. "The collaborations I have developed within the Department of Mechanical Engineering, Northwestern Engineering, Northwestern, and beyond over the past 20 years have brought many fruitful results," Cao said. "I look forward to many more scientific advancements and technology innovations to originate from our recent initiatives on manufacturing." 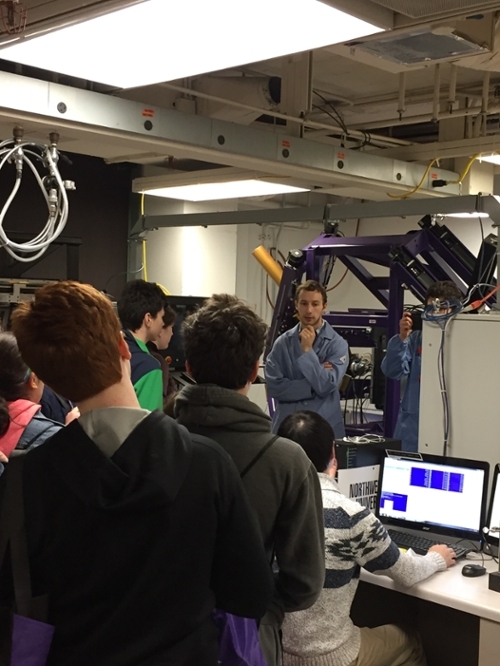 Participants in the Society of Women Engineers' 45th annual Career Day, toured the Northwestern AMPL facilities. Female students in 6th-12th grade take Career Day as an opportunity to learn more about the different fields of engineering. AMPL members Newell Moser and Sarah Wolff hosted a lab tour for the group, showcasing the innovative work done within our labs. Participants offered interesting questions and gave AMPL members the valuable chance to further hone their research communication skills.